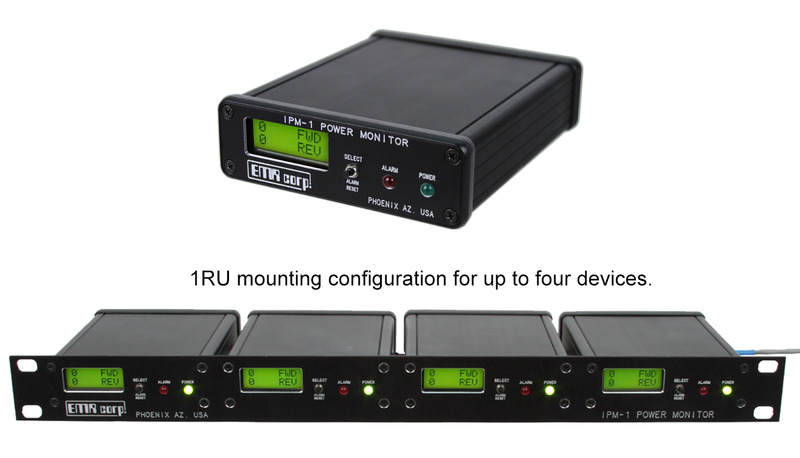 The iPM-1 Internet Power Monitor is a single channel web enabled RF Power Monitoring System. It monitors the functioning of a transmitter at the final amplifier ourput. The unit requires a dual directional RF Power Sensor (EMR2xT2(ADCRMS) at the transmitter output for delivering digitized data to the iPM-1 master unit.